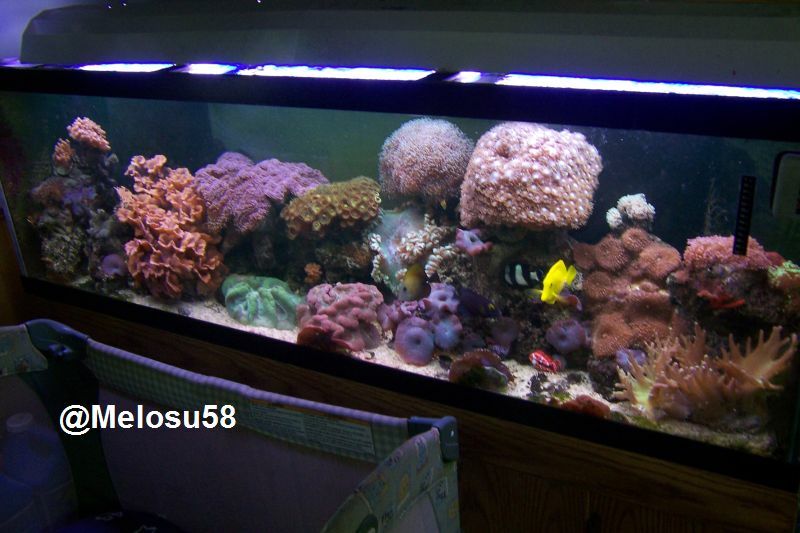 My husband and I are pretty good with freshwater tanks, but a few years ago we decided to try out saltwater. Everything was going well, but we moved across country and most everything died. So now we've got a 90 gallon tank with essentially dead coral and "dead" rock in it. We're thinking of starting over and just doing freshwater again because we're good at it. Just not sure if there is a proper way to prep the tank for the change from salt to fresh. Nothing like a little trial and error. As far as cleaning it out, I would use some vinegar and a razor blade. The vinegar will remove any hard water spots/buildup. The razor blade will clean your glass up very nicely. Just rinse with warm water and some paper towels. Do not use any chemicals to clean the glass (windex etc). Not sure as far as what do with the filters, not sure what you have either. The lights will be another topic I'm sure. Do you want a planted tank or just fish only? What kind of light fixture do you have? You said you had some dead corals so I'm assuming you had some higher light on the tank. We have a 90 gallon tank that was set up just for saltwater so we don't have much hardware for freshwater, but I'll get to that when I can. We want just a fish tank, and then maybe add some live plants if I'm feeling brave. I really want a little school of bala sharks. I had some that did really well until we moved and I didn't set up the tank fast enough. But our first thing to do is give away or reuse the existing coral/live rock? What would the complications be with keeping some(not all...too much). Can I sell the dead coral? I know someone could grow on it if they wanted to.